ZURICH (AP) — Real Madrid will face either the champions of Asia or Mexican club Guadalajara in the Club World Cup semifinals. 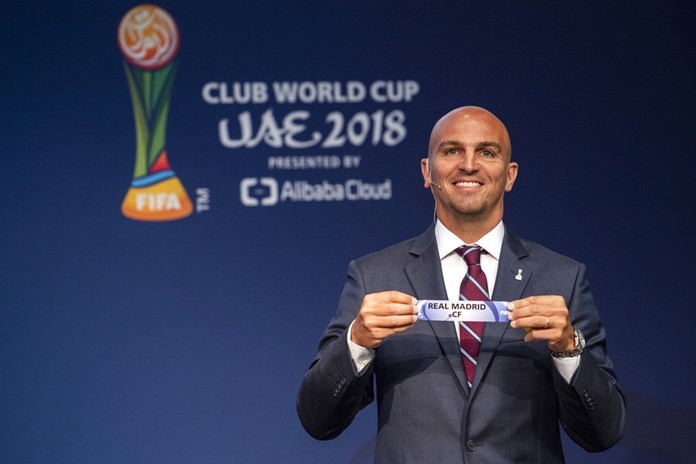 FIFA made the draw Tuesday for the seven-team tournament, which will be played from Dec. 12-22 in Abu Dhabi, United Arab Emirates. The Copa Libertadores champion will represent South America in the semifinals against the African champion or the winner of a preliminary-round game between Al Ain and Oceania champion Team Wellington. Al Ain will enter as the host nation’s champion, joining the six continental champions. FIFA wants to launch a 24-team Club World Cup in 2021.